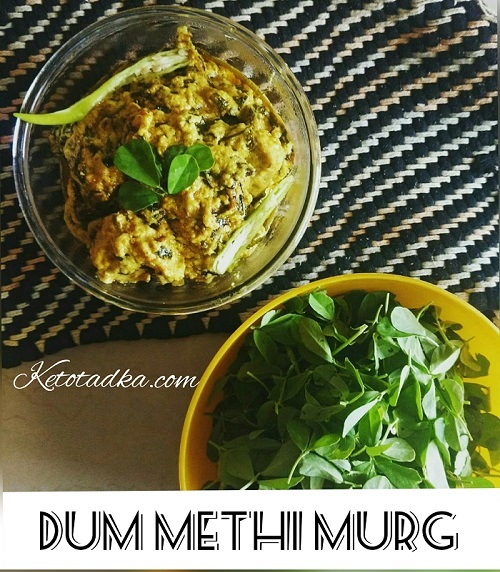 Dum Methi Murg , which literally means, Chicken made with fenugreek leaves; is a high fat and low carbohydrate Indian recipe full of aromas and rich flavor. 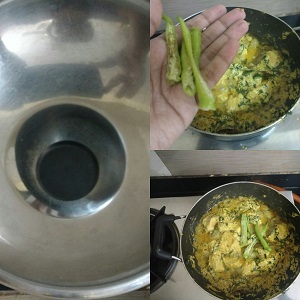 It is a traditional Indian recipe which can be made keto-friendly very easily. I won’t take credits for this recipe as I have just tweaked the original dish. You will need very few ingredients and this dish can be made in just 30 minutes. About the volume of the dish, it is very dense, thick and not at all runny. It is best with some low-carb naan/paratha or can be eaten as it is. 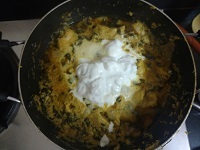 It is creamy in texture with a subtle hint of fenugreek leaves, which overall changes the flavor of the dish. So, let’s just get to the recipe already !! 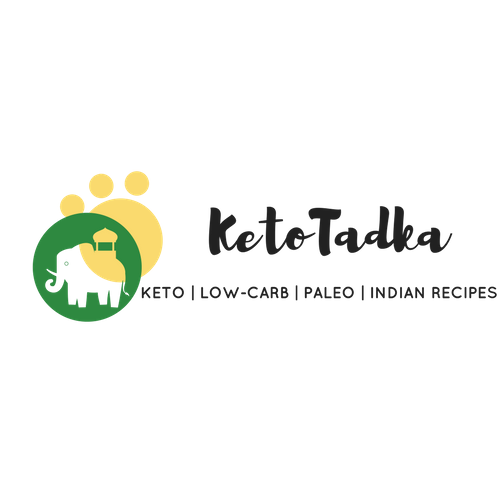 Thick, rich Indian traditional recipe made ketogenic. 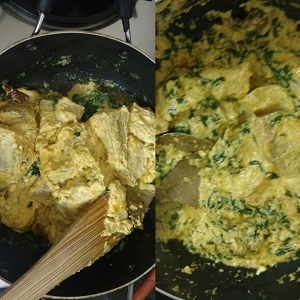 Dum methi (fenugreek) murg will blow your minds for sure ! 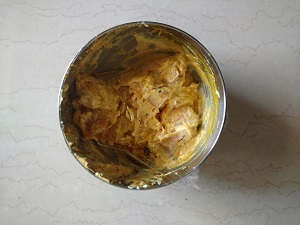 Marinade the chicken with the spices and the hung curd and keep it covered for about 45 minutes. Take a pan with a thick base and put ghee in it and let it melt. Take the onion, garlic, ginger and chillies and grind to a paste. Add the paste to the melted ghee. Let it cook for 5 minutes . Add the marinated chicken to the pan and mix it properly. Cover it with a lid for 12-14 minutes. 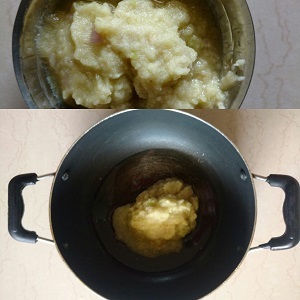 Keep stirring after every 5 minutes so that the curd does not stick to the pan. 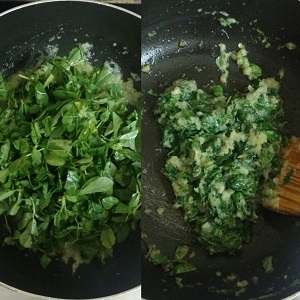 Let it be covered for 15 minutes in total, after first 10 minutes, add 2 chopped green chilles and cover again. Hi!! The recipe looks fabulous .. any chance you would have the nutritional values for a single serving ?